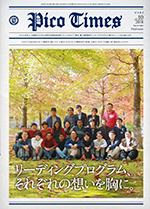 The Leading Program ("Only-one" category) at University of Hyogo is pleased to present "Next-generation Picobiology Pioneered by Photon Sciences" This program resulted from a selection process guided by the Ministry of Education, Culture, Sports, Science and Technology. More than 100 subjects were reviewed in this process. To be a leader in the next generation, it is important to learn how life phenomena are determined by chemical reactions driven by proteins. We are offering an advanced Ph.D. program to facilitate learning in this area. This program has been carefully planned. A combination of highly creative, international students will be taught by top ranking faculty from around the world. The participants in the program are expected to play leading roles in the life sciences both in Japan and internationally. Participation of other scientific sectors will create an interdisciplinary focus that will lead to new applications and knowledge. This will help create a learning experience that will cut across existing masters' and doctoral programs and create collaboration to help address the unique needs that we face in this important area of biological studies. and society. As a result, students will improve their management and research skills through the use of critical thinking and peer review. Students will have access to some of the world's most advanced analytical equipment: Raman spectrophotometry, Super Photon Ring 8 GeV (SPring-8), neutron diffraction, X-ray free electron laser (SACLA), electron microscopy, and K computer. This analytical support is critical to helping students to understand how the theories actually work in their research area. "Philosophy of Science" and "Bioethics" courses will help students develop management skills and a sense of ethical values. This will be reinforced through their daily interaction with top-level researchers specializing in structural biology and cell biology . all of whom are participating in these courses. Through discussions among the research teams outside of the classroom, students will develop a perspective on the societal importance of their discoveries and enable them to communicate this information with researchers in other disciplines. Students will also benefit from assignments in different laboratories and the mentoring they will receive by working closely with the faculty and leaders involved in the program. Leaders need to develop the ability to express their ideas clearly while listening and learning about the ideas of their research colleagues. In this program, students will be encouraged to exchange ideas openly with others in the program and with other domestic and foreign research teams working in this discipline. A "Scientific Communications" course has been designed to help develop and improve these important communications skills. Most of the lectures will be conducted in English to help prepare students for the opportunity to study abroad and participate in International conferences. Students that complete the Leading Program will be able to find employment opportunities either in a university or research institute or in government or corporate assignments that include medicine, public health, environmental studies, education, publishing, etc. They will be able to put in practice courses such as "Advanced Career Paths" and "Science and Technology Policy." Students will also get to practice their newly acquired skills before graduating by participating in internships. Successful completion of this program will enable the graduates to be successful in newly developing areas of science and technology. The Leading Program has been designed to create the leaders of the future. 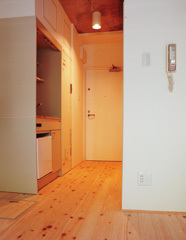 In this program, one-room student dormitories (private room with bathroom) are available. 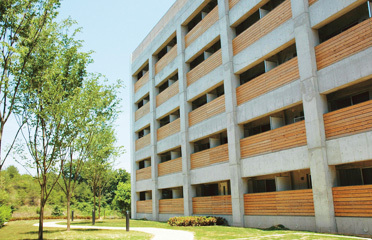 A research scholarship program (200 thousand yen per month)* is also available on application. This program enables you to concentrate yourself on your academic studies and researches. * You must pay your income tax and residence tax on your own when you receive a scholarship. You may have to pay National Health Insurance premiums and National Pension premiums. Contact us for your eligibility and the details of our scholarship program.